In 2010 Tim Wu, lawyer and professor at Columbia Law School, published “The Master Switch”, the book in which he demonstrated how all the media and communications industries were characterized by a specific pathology that sooner or later makes the mechanisms of the market self-regulation ineffective and leads to a monopoly (or oligopoly). It seems that the “Master Switch” is now On for the benefit of the so-called “Over The Top”, companies whose target is the entire world population, providing services with unlimited scalability. Will the global companies be the only platforms to define the 21st century world? Do we believe that “diversity” is a value to protect, or do we think that the Internet industry will be inevitably represented by few global players? Why aren’t any European subjects among OTTs? Is still possible to have new European and Italian companies capable of competing with them? 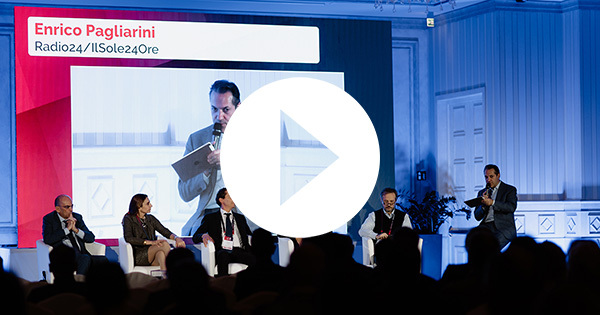 Watch the video and relive the highlights of MIX Salotto 2018! Watch the full video gallery! 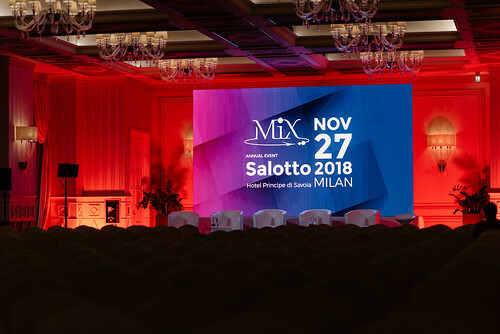 This year the Salon at MIX will be held in the amazing hotel Principe di Savoia, a benchmark in hospitality in Milan. The newly-restored event area is ready to welcome our annual event! For more information Repubblica Parking. Registrations for the Salotto 2018 are closed. The full list of participants in the meetings one to one is available only for the persons registered for this session. You are registered to the event. You will receive soon a confirmation email. Are you interested in one-to-one meetings? I authorize MIX s.r.l. – Via Caldera 21 – 20153 Milan registered office, to process the above data for the organization of the “MIX Salotto” event, the use of photos and/or videos of the day, and the sending of newsletters and other information. The provision of data may be suspended at any time by sending an email to info@mix-it.net. MIX s.r.l. undertakes not to communicate or disseminate any information concerning you for commercial purposes.